Furiends! A week today my book is going to be launched! I’m so very excited and in celebration I’ve got five copies that you can all be in with a chance of winning. There are several ways to enter. You can easily join in by clicking on the rafflecopter below and following the simple steps. Three winners will be selected at random once it closes at 9PM (GMT) on the 23rd of April. All three winners will be announced on the day of my book launch… the 24th of April! For those of you who are also creative (I know lots of you are!) 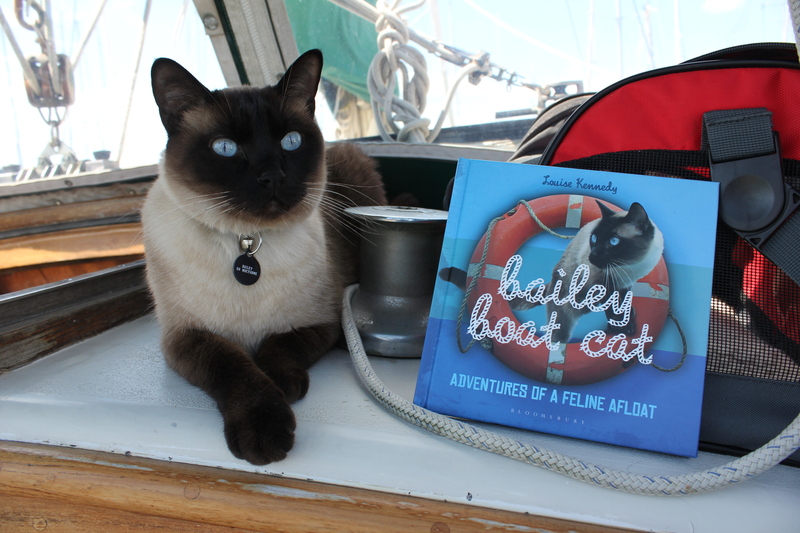 I would love for you to post a photo “inspired by Bailey Boat Cat” on my Facebook page! It’s completely up to you how you decide to interpret that or what you would like to do. 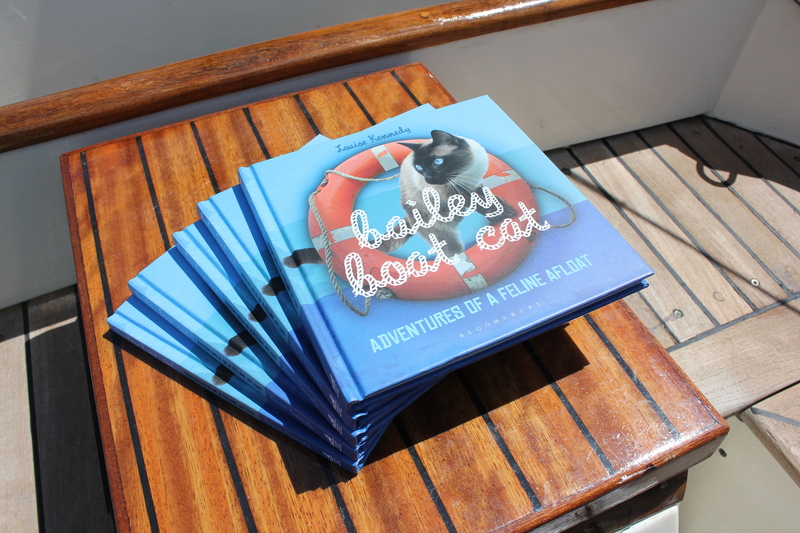 The two photos with the most likes on my Facebook page when I wake up on the day of the launch (at 9AM GMT on the 24th of April- my purrsonal assistant has set the alarm) will each win a copy of my book too! Good luck to evfurryone, I hope you’re as excited as I am! « Looking forward to tomorrow! Thank you very much! Meow back! Thank you dear Nia! I hope you enter the competition! So excited…can’t wait to read it! Congratulations, Bailey! You’ll be pleased to know that Amazon have just infurrmed me that your book is on its way to me right now, I ordered it ages go. 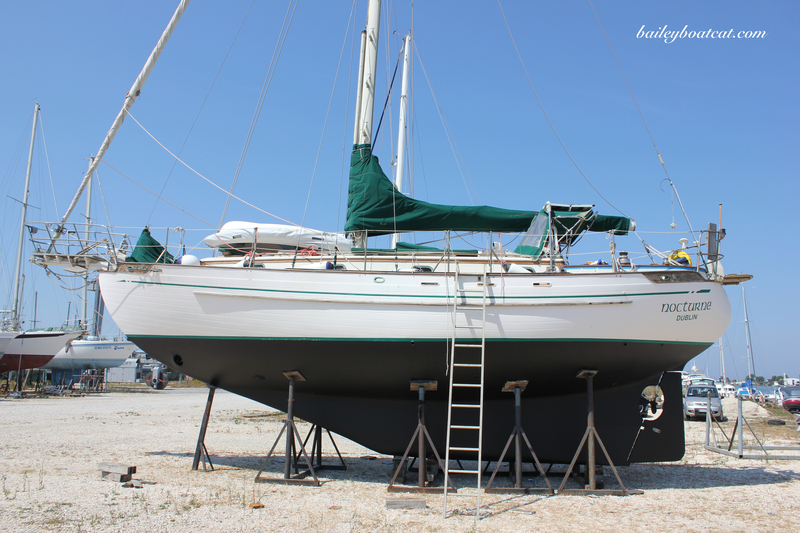 Happy sailing and don’t forget to wear your life jacket. Bisous from Switzerland. WOWEE!!!! This is amazing! Very exciting! Thank you! 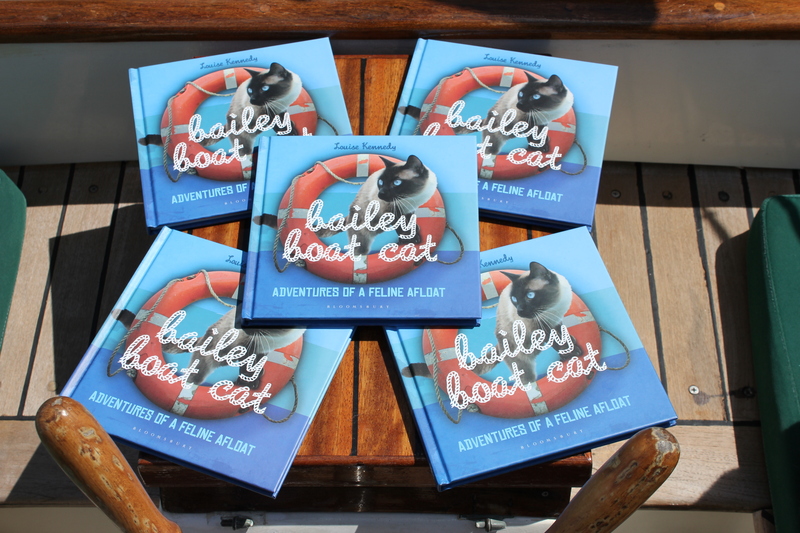 Congratulations on the book Bailey! I love reading all about your adventures on your blog. Thank you very much Janette! 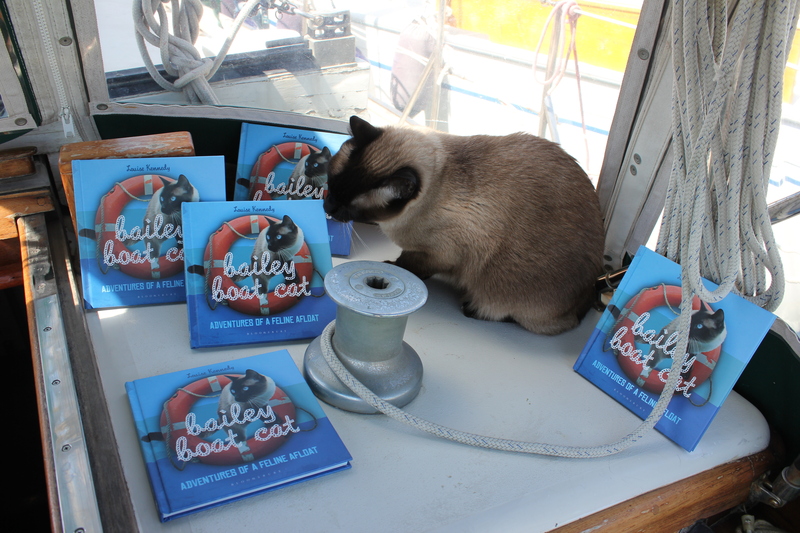 It must be a very exciting time … living on your boat, your book launch, being a full-time admiral. It’s pawesome David! My paws haven’t hit the decks all month! Good Luck Mitzi! I hope you love the book! Bailey! 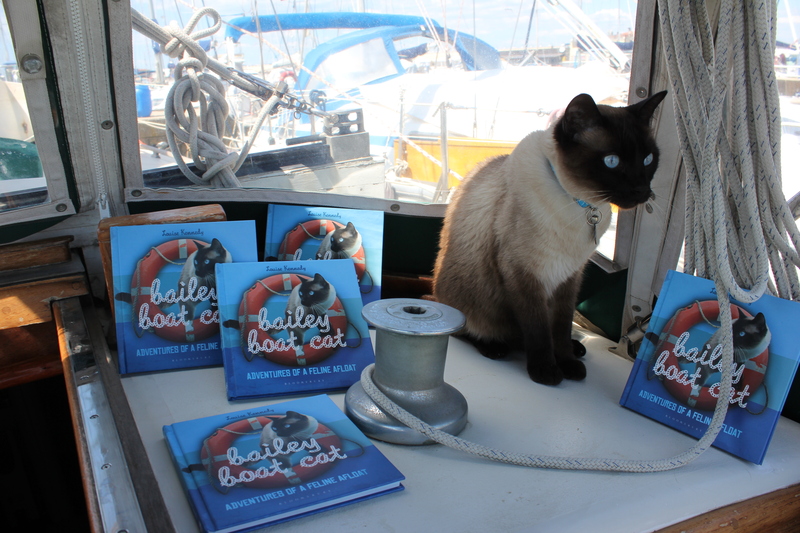 We are so excited for you and can’t wait to get our paws on your book! Thank you guys! I hope Teddy loves it! Wow thank you they are always welcome! Thank you guys! I LOVE your photo entry Buddy and Basil you look pawesome! Thank you for always being so supportive sisfurs and brofur! Bailey I am sooooo excited. I can’t wait for my mum to read your new book to me when we have snuggles at bedtime. Tomorrow my furcousin is coming to live with us, so the three of us (myself, sister Lucy & cousin Coco) will love hearing your book. That’s pawesome Sam! Hi to your cousin too! Excellent news. I look forward to reading the book with my little baby boos. I’ve got to check if your book is available on Kindle. Can’t wait to read it! It’s available as an ebook too! hehe! Good luck with the competition! Bailey I couldn’t be more excited for you than I already am and I REALLY AM!!! There’s nothing like “launch day”……and I wish you tons of success. I also really love that your book is the same color as your eyes! That’s a good luck sign I’m SURE of it! Aww thank you Sammy! Paws crossed it’s a success! Just earlier this evening I spied your book prominently displayed at the counter in the State cinema bookshop in North Hobart Tasmania Australia! OH MY CAT!!! That’s sooo exciting! Thank you for telling me! Just entered your competition, Bailey! Very cool! How exciting that you have a book ALL about you! We can’t wait to see it! Concatulations. Paws crossed for you guys! Thank you! Massive congrats on the book, can’t wait to read it! Thank you Misaki! I hope you enjoy it! Me entered da contest…well me finkz me entered it rite…pleeze send Mum email n let her nose if we iz in okayz? ?